What should be known about LED solar fairy lights before buy? 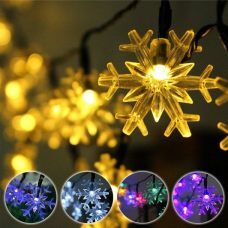 First of all, LED solar fairy lights are a type of decorative outdoor lighting made with a mission of creating an exceptional festive, cheerful and joyful environment, the elegant and charming atmosphere around the home and patio, porch, terrace and veranda, swimming pool and fence, garden and backyard. Fairy string lights often can be seen on a frontage of buildings and houses, on trees, bushes and flowerbeds. 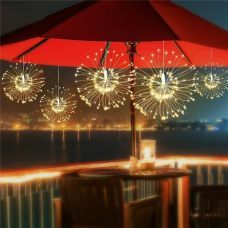 Cafes, bars and restaurants utilise solar fairy lanterns to establish a romantic, cozy, or holiday spirit and background. LED decoration lights in Australia are essential must-have elements of outdoor party decoration and often welcoming guests at the entrance of homes. A mild and gentle shine of LED lights is bringing a certain feeling of fairytale and magic and add a unique sparkle to any place. What types of outdoor solar fairy lights available in Australia? 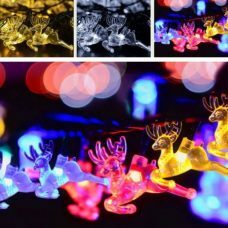 The Sunny Bunny team is carefully selecting and maintaining a high-quality and exclusive collection of outdoor solar fairy lights to make sure it is capable of meeting any strict demand. The assortment comes in a contemporary range of different styles, shapes and colours as well as functions and operating modes to accomplish exterior decoration. 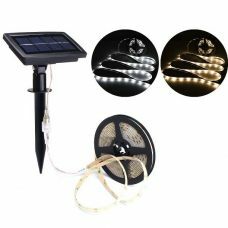 There are special sets of solar LED lights for Christmas and New Year Eve, Easter, Valentine’s Day, Wedding and Birthday Party, anniversaries, carnivals, festivals and any other events and occasions. 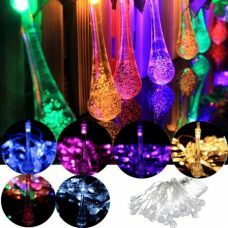 High quality bright, colourful lights as a fairy string lights and hanging lanterns, decorative stars and crystal balls, bells, deer, icicles and raindrops, net lights for tree decoration and many others available to purchase online at a competitively low price with Free Delivery all around Australia include remote parts and areas. Outdoor decorative lights gained an excellent reputation for a number of outstanding characteristics. The advanced LED technology provides impressive brightness with low voltage consumption that allows powering these lights by direct sun through an energy-efficient solar panel. This converted energy goes to a rechargeable battery that can power the string all night up to 8-12 hours. 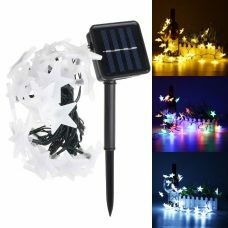 Therefore, solar powered fairy lights are an entirely environment-friendly product with an additional benefit of almost zero maintenance cost. Everyone can run outdoor illumination all night long without worrying to get a heart attack for electricity bills. Add to the list of features durability with a long lifespan of all elements include solar panel and batteries, and simple process of installation of LED fairy lights. 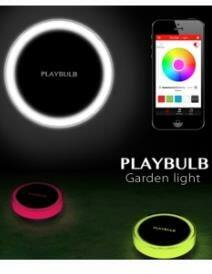 Needless to mention complete weather- and waterproofness of lighting as a core trait for outdoor decoration. 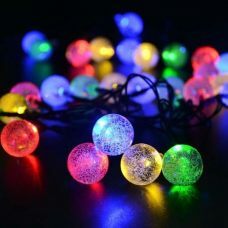 Finally, it is hard to resist from our offers inclusive low price guarantee and fees free shipping for LED solar powered fairy lights to any part of Australia and New Zealand. Is there a difference between white and warm white solar fairy lights? 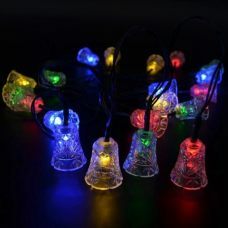 So many times everyone got confused when it comes to the stage of choosing a colour of solar fairy lights. Now it is time to figure out the difference. There are plenty of colours exist includes the most common like white, yellow, blue, purple, red, green and even multicolour. However, the most popular ones are white and warm white solar fairy lights. What is the difference? Everything is pretty simple: just white or also known as cool white is a cold colour and therefore looks like ice or similar to light blue. Warm white is opposite and represents warm temperature that makes this colour closer to fire. Thus, warm white better suits for creating a homelike and cozy atmosphere and that is one of the reasons it associates more with Christmas. Another way is usually functioning white or cool that is more appropriate for party and holiday environment. However, there are no rules in outdoor decoration and the right connection can be found only via good taste and practising. Create, make peace and love and let your life shine like thousands of sparkling LED lights powered by solar.